Working in product marketing day in, day out is great - but I wanted to stretch my wings a bit and get experience with small businesses. I love helping SMB's transform their thinking through how to grow their business with digital marketing. Sportsmed NQ engaged me to create a comprehensive digital strategy. The strategy covered: new website content, SEO audit, content marketing plan, newsletter creation, social media strategy and execution, and the development of a new brand. I developed the new site architecture and created relevant SEO-driven content. Over a 9-month period I worked to execute the digital strategy to transform their brand. OLD Website: tired looking brand, ill-focussed copy and no strategy behind the site architecture. NEW Website: Bold new brand. Customer-focussed copy and clear CTA's. 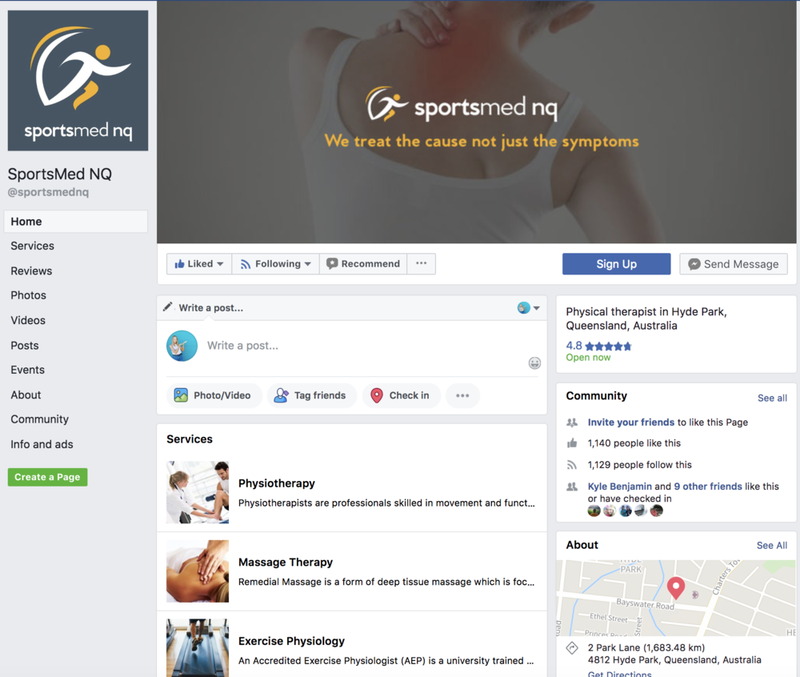 Sportsmed NQ's social media profile wasn't relevant to it's customer base. The previous look, feel and content needed work. The new profile provides services information, thought leadership on issues related to customers, and a fresh and professional look.